I manuver myself to see what&apos;s happening. Steve gets kicked by the soldier and falls on the ground. The soldier shoots at him. And all I can do is watch. My vision is already starting to get blurry. I just see two fuzzy figures fighting. After a little while, I hear Steve say, "Bucky?" Bucky? He is the guy who shot me? Bucky? the guy from the forties? No. That&apos;s not possible. "Who the hell is Bucky?" the soldier says. He aims a gun at Steve. "No!" I choke out louder. But then I see Sam kick Bucky down. Nice suit, I think. I am getting some of my vision back too. Yay! But then Bucky gets back up. He aims a gun at Steve, but I am already prepared. I launch a grenade at him. Steve looks back at me. But then all eyes are on where Bucky was. When the smoke cleared, he was gone. 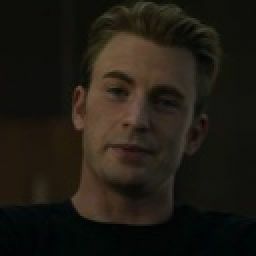 But HYDRA wasn&apos;t.
Steve has seven or eight guys around him and Sam, I have one. I was ready to fight back but then Steve surrendered. I followed. I don&apos;t know what he is getting us into, but I trust him too much to defy him. They round us up and throw us into a big truck. I sit there silently, using the wall as a support. The pain has started to get a lot worse. 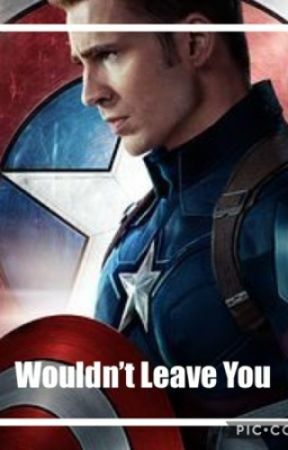 Then Steve starts talking about Bucky. I don&apos;t know what he is saying but I offer my opinion anyway. "None of that&apos;s your fault, Steve." I say, lazily. Steve&apos;s head turns toward me slowly. I feel his stare on my shoulder, and he starts to go mad. "Where is a doctor?!?! She need medical attention right now!" He yells. One of the guards pulls out their tazer. Steve still doesn&apos;t sit down. "She needs medical attention." he says a lot calmer. The guard tazes their partner and they take off their helmet. "Ah. That thing was squeezing my brain." said the familiar voice of Agent Hill. "Who&apos;s this guy?" "He&apos;s Sam and we need to EVAC ASAP. She&apos;s loosing blood, fast." Steve says almost frantically. "On it." Hill states. Then I black out. I wake up to a steady thumping of feet. I open my eyes, only to see Steve&apos;s face, covered in soot and sweat. I reach up but wince in the excruciating pain that runs up my arm. Steve notices. "She&apos;s awake." Steve says rather quietly. "Let&apos;s get her on her feet, we&apos;re almost there." Maria says. I walk with Steve supporting me on my left and Sam on my right. "GSW. She&apos;s lost at least a pint." Maria yells down the stone hallway. "Let me take her." the doctor yells down the hall. I squeeze Steve&apos;s arm even though it hurts mine. He knows I don&apos;t like doctors. He looks at me and nods. "She&apos;ll want to see him first." Maria says. "See who?" I ask. I get no response and we just keep following Maria. We follow her to a plastic curtain. She pulls it back. "Fury?" I ask in complete disbelief. "About damn time." he says. "Rachel, sit down and get your arm worked on, please." I obey. Steve helps me to sit down. I hold onto his hand with my good arm and listen to Fury talk.